The Undersigned agrees to indemnify, hold harmless and defend Shot Spot LLC, and any of its employees, directors, officers or agents (hereinafter "Shooters"), from any and all fault, liabilities, costs, expenses, claims, demands or lawsuits arising out of, related to or connected with: the discharge of firearms: the course of instruction: Shot Spot LLC range, building, land and premises (hereinafter "Premises"); and, the Undersigned's presence and or use of said Premises. And should any such claim, demand or lawsuit arise or be asserted in any way whatsoever related thereto, whether arising under the laws of the United States, Georgia, or under any theory of law or equity, the Undersigned will indemnify, hold harmless and defend Shot Spot LLC, from any and all costs, expenses or liability including, but not limited to, the cost of any settlement or judgment made or rendered against Shot Spot LLC, whether individually, jointly, or solid with the Undersigned, together with all costs of court and other costs or expenses incurred in connection with any such claim, demand or lawsuit, including attorney's fees. The Undersigned furthermore waives for himself/herself and his/her executors, administrators, assignees or heirs any and all rights and claims for damages, losses, demands and any other actions whatsoever, which he/she may have or which may arise against Shot Spot LLC, (including but not limited to any and all injuries, damages or illnesses suffered by the Undersigned or the Undersigned's property), which may, in any way whatsoever, arise out of, be related to or be connected with: the course of instruction: the Premises, including any latent defect in the Premises; the Undersigned's property (whether or not entrusted to Shot Spot LLC: and, the discharge of firearms. 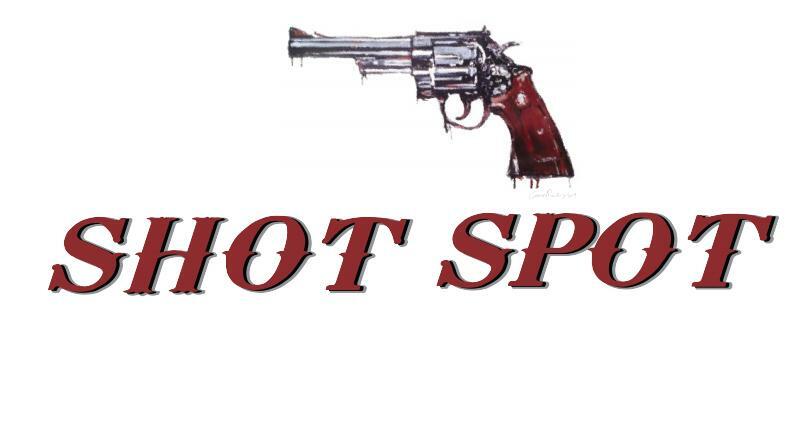 Shot Spot LLC shall not be liable of, and the Undersigned, on behalf of himself/herself and his/her executors, administrators, assignees or heirs, hereby expressly releases Shot Spot LLC from any and all such claims. The Undersigned hereby agrees to indemnify and save and hold harmless the releases and each of them, from any loss, liability, damage or costs they may incur due to my participation in the GUN RANGE, whether caused by the negligence of any or all of the releases, or otherwise. The Undersigned hereby expressly assumes the risk of entering the Premises and of taking part in activities on the Premises which include, but not limited to, the discharged of firearms and the firing of live ammunition. The Undersigned hereby agrees toShot Spot to use such photographs and videos of me with or without my name and for any lawful purpose, including for example such purposes as publicity, illustration, advertising, and Web content. The Undersigned furthermore hereby acknowledges and agrees what he/she has read, understands and will at all times abide by Shot Spot LLC rules and procedures. This instruments binds the Undersigned and his/her executors, administrators, assignees or heirs. ACT RESPONSIBLY AT ALL TIMES. FOUL LANGUAGE, HORSEPLAY OR ANY OTHER UNSAFE ACTIVITY WILL NOT BE TOLERATED. IF WE OBSERVE AN UNSAFE ACT WE WILL HELP YOU UNDERSTAND WHAT YOU DID AND WORK WITH YOU TO LEARN THE CORRECT SAFETY PROCEDURES. IF YOU REPEAT OR COMMIT ANOTHER UNSAFE ACT, YOU MAY BE ASKED TO LEAVE THE RANGE AND MEET WITH THE CHIEF RANGE SAFETY OFFICER (RSO). IF YOU APPEAR TO BE IMPAIRED (SUCH AS UNDER THE INFLUENCE OF ALCOHOL OR DRUGS, INCLUDING PRESCRIPTION MEDICATION), YOU WILL BE EVALUATED BY THE RANGE SAFETY OFFICER (RSO); YOU MAY BE ASKED TO LEAVE THE RANGE. THE SAFETY OF EVERYONE IS A PRIMARY GOAL OF SHOT SPOT. WE WANT YOU TO ENJOY SHOOTING AND WILL WORK WITH ANYONE WHO WANTS THE SAME. ACT RESPONSIBLY AT ALL TIMES. FOUL LANGUAGE, HORSEPLAY OR ANY OTHER UNSAFE ACTIVITY WILL NOT BE TOLERATED. 1. ALL FIREARMS MUST BE HOLSTERED OR CASED WHILE GOING TO OR FROM THE RANGE. NEVER HANDLE UN-CASED OR UN-HOLSTERED FIREARMS BEHIND THE FIRING LINE. 2. ALWAYS KEEP FIREARMS POINTED DOWN RANGE AND IN A SAFE DIRECTION. NEVER TURN AROUND IN THE BOOTH WHILE HOLDING A FIREARM. NEVER POINT (MUZZLE) THE FIREARM TOWARD YOURSELF, ANOTHER PERSON, THE CEILING, RANGE OR SHOOTING BOOTH WALLS. NEVER FOR ANY REASON LEAVE YOUR BOOTH WITH AN UN-CASED OR UN-HOLSTERED FIREARM! 4. NEVER CROSS THE RED FIRING LINE FOR ANY REASON. DO NOT ATTEMPT TO RETRIEVE ANYTHING THAT FALLS IN FRONT OF THE FIRING LINE. IF YOU LOSE A PIECE OF EQUIPMENT, ASK THE RANGE SAFETY OFFICER (RSO) FOR ASSISTANCE. 5. IF YOU OBSERVE ANY UNSAFE BEHAVIOR OR CONDITION BY ANYONE, REPORT IT TO A RANGE SAFETY OFFICER IMMEDIATELY. 6. ALWAYS KEEP THE ACTION OPEN AND FIREARM UNLOADED UNTIL READY TO FIRE. CONSIDER EVERY FIREARM AS LOADED AND TREAT IT AS SUCH. 7. EYE AND EAR PROTECTION MUST BE PUT ON BEFORE ENTERING THE RANGE AND WORN AT ALL TIMES WHILE INSIDE. 8. UPON THE COMMAND CEASE FIRE, STOP ALL SHOOTING IMMEDIATELY, PUT DOWN YOUR FIREARM AND BACK AWAY FROM THE FIRING LINE. DO NOT RE-APPROACH THE FIRING LINE OR PICK UP YOUR FIREARM UNTIL THE ALL CLEAR SIGNAL IS GIVEN. 9. FOR ANY FIREARM OR AMMUNITION PROBLEM, SUCH AS A SQUIB OR HANG FIRE, KEEP THE GUN POINTED DOWN RANGE, DO NOT SET THE GUN DOWN, REMAIN IN YOUR BOOTH, SIGNAL A RANGE SAFETY OFFICER FOR ASSISTANCE BY RAISING YOUR NON-SHOOTING HAND. 10. USE ONLY THE CORRECT AMMUNITION FOR YOUR FIREARM. SHOT SPOT DOES NOT PERMIT STEEL CORE, STEEL SHOT, STEEL CASED, TRACER OR ARMOR PIERCING AMMUNITION. SHOT SPOT DOES NOT PERMIT MUZZLE-LOADERS OR BLACK POWDER. 11. IF YOU BROUGHT MORE THAN ONE FIREARM, WE RECOMMEND THAT YOU USE ONLY ONE AT A TIME. THIS WILL REDUCE THE CHANCE OF LOADING THE WRONG AMMUNITION. 12. KNOW AND UNDERSTAND THE OPERATING MECHANISM AND SAFETY FEATURES OF YOUR FIREARM. PLEASE ASK THE RANGE SAFETY OFFICER (RSO), IF YOU NEED TO LEARN ABOUT YOUR FIREARM. 13. NEVER USE ALCOHOL OR DRUGS BEFORE OR WHILE SHOOTING. YOU WILL BE ASKED TO LEAVE IF UNDER THE INFLUENCE. 14. NO FOOD, DRINK, GUM OR TOBACCO IS PERMITTED INSIDE THE RANGE. WASH YOUR HANDS EACH TIME YOU LEAVE THE RANGE AND BEFORE SMOKING, EATING OR DRINKING. 15. SHOOTERS MAY COLLECT THEIR BRASS BEHIND THE FIRING LINE ONCE THEY HAVE UNLOADED AND CASED THEIR FIREARM AND ARE READY TO LEAVE THE RANGE. INFORM THE RANGE SAFETY OFFICER (RSO) AT THE BEGINNING OF YOUR SESSION THAT YOU WOULD LIKE TO KEEP YOUR BRASS. 16. NO OPEN TOE SHOES, NO LOW CUT TOPS OR CUT OFF SHIRTS. 17. ONLY SHOOT AT YOUR TARGET. NO CROSS LANE SHOOTING. 18. NO DRAWING FROM HOLSTER. 20. MINIMUM AGE ON THE RANGE IS 8 YEARS OLD. YOUR PARENT OR GUARDIAN MUST SIGN A MINOR WAIVER FORM, IF YOU ARE SHOOTING A HANDGUN AND ARE UNDER 21, AND IF YOU ARE SHOOTING A LONG GUN AND UNDER THE AGE OF 18.